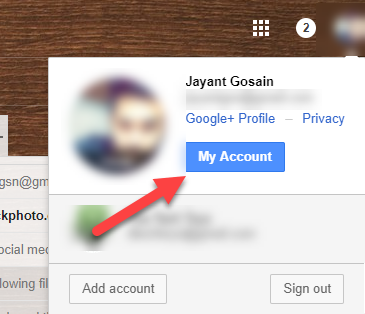 How to Change Your Gmail Account Photo? There is no denying the fact that Gmail is one of the most popular email services in the world today. It is one of the most preferred and popular mail services used by professionals. Gmail comes with an option to put up your profile picture. Though you can leave this image blank, but it is recommended to put up a decent image. Putting a profile photo to your Gmail account not only helps to differentiate amongst varied accounts, but also strengths the persona of your professional brand. 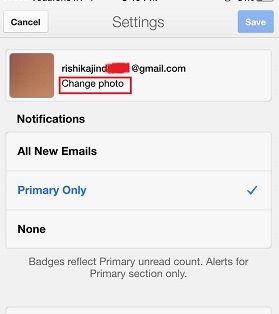 Now the question arises that How to Change Your Gmail Account Photo in various devices. Once set, your profile picture will be used to identify your account in chat lists, your contacts' address books, your Google+ account, as well as with the emails you send. Apart from Gmail, the process of changing your picture in Google Hangouts and other Google services is different. The reason is because Google uses your Google Plus profile picture for these services. 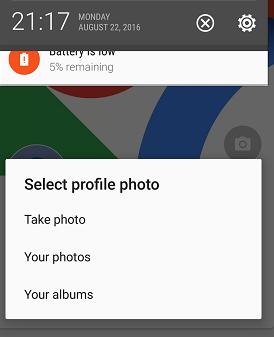 The best part is that just change your Google Plus picture, automatically your picture gets updated across various Google services. Go to your Google Plus profile page and click Edit profile. Just click on your current profile picture. Now, you can either choose a picture from your Google uploads or click Upload to take a picture from your laptop. To finish, click set as profile picture in the bottom- left corner of the page. And you are done. Now, Google will automatically apply the changes to all your accounts operated by Google. Once you’ve changed your Gmail profile image, then it will be reflected in all the other Google products like Google Plus, YouTube, etc. Log into Gmail. 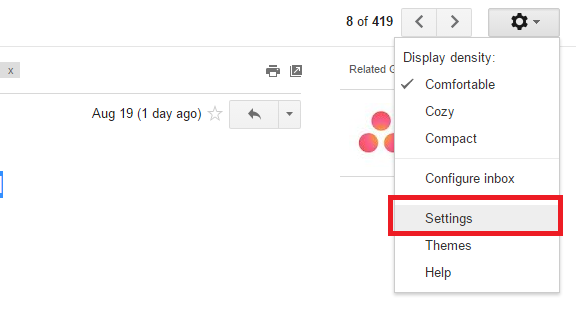 Click on the gear icon in the upper-right corner of your Gmail inbox, then click Settings. Go on the General tab of the settings pane. Scroll down until you see the section called My Picture and click the Change picture option. Click Choose File and browse your computer or Laptop to set your desired Profile Picture. A box will appear over your photo, selecting part of it. Drag this selected region to crop your photo. To complete the process, click Apply Changes. And you are done. Using the radio buttons next to your uploaded photo on your settings page, you can decide that whether you want all Gmail users to see your picture or only those who you've allowed to chat with you. Open Gmail. Just click on the small circular icon which is at the top right corner of your screen, and just underneath it, you will see an option “Change”, simply click on it. Directly drag and drop your photo into the provided window or select the option “Select a photo from your computer” to upload a photo from your system. 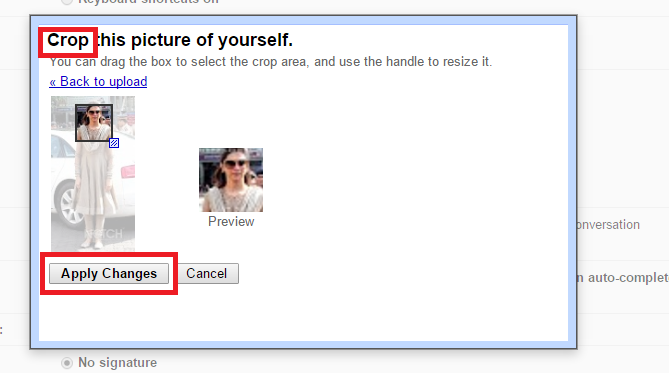 Once the image is uploaded, click on “Set as profile photo” and your new Gmail profile picture will replace the old one. For models having operating system earlier than Android 5.0: In these models, the process is simpler. 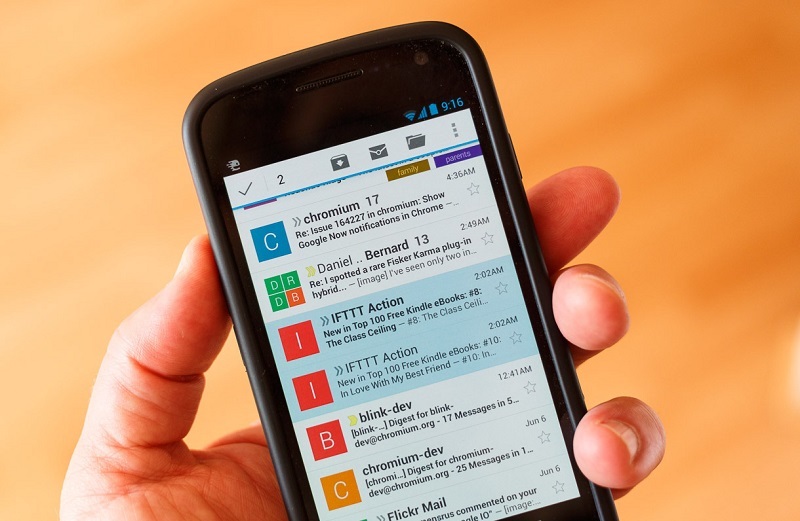 Open the Gmail mobile app on your Android smartphone. Click on the gear icon in the upper-right corner of your Gmail inbox. Scroll down the menu and click “Settings” of the drop-down menu. In the Settings screen click the “General” tab. Go down and click the blue “Change picture” link above your thumbnail. And you are done. 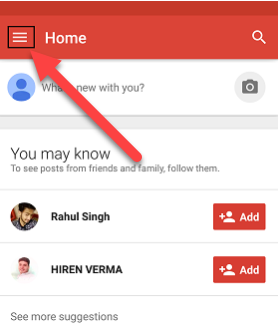 Open the Google + mobile app on your Android smartphone. Tap the three bars in the top left of the Gmail app to open the menu list and click on the account for which you want to change the profile picture. Next to your picture, tap Edit and then on your picture, tap Camera. Select or upload a photo. Crop your photo, then tap Done. iPhone is one of the most popular and have a loyal customer base. 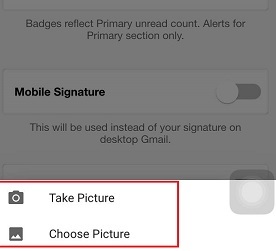 Take a look at how to change Gmail profile picture on iPhone. Open the Gmail app on your iPhone and in the top left, tap Menu, which is a three line icon. In the top right, tap Settings and then tap Change Photo. Select a new picture and at the top of the page, tap Save. You can even modify your picture’s visibility, i.e. whether you want your picture to be visible to everyone or only to the one with whom you can chat with. Just go to Settings and in the “My Picture” section, select a visibility option. Gmail profile picture is a common phenomenon and it should be such that it looks good and leaves a positive impact on your audience. Use some special face tactics such that your picture seems approachable, helpful and attractive. Many of us would have created our Gmail profile, putting a very pretty picture of ourselves in the profile. 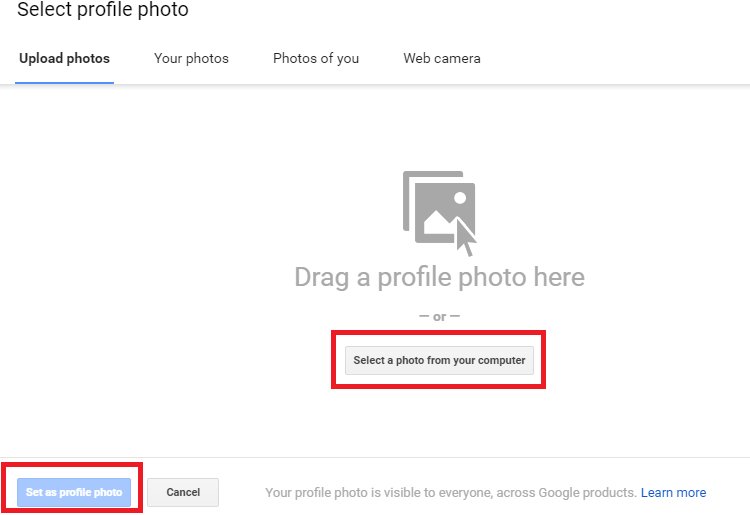 Now, for whatever reasons, if you want to change your profile picture just go through the above- mentioned guide on How to Change Your Gmail Account Photo. Change wisely and elevate your professional persona. How to Manually Update Drivers in Windows 7? How to Ask Siri to do Things? Superb post indeed, many of us use gmail and never worried of updating there profile images, i feel its must after certain days, it shows our interest towards that social network, thank you for all the detailed description. How to Create Folders in Gmail? Over the past few years, Gmail has become one of the top email services. Gmail is the only email service which comes to mind at first, whenever there is any talk about emails. No matter if you use email service for the personal or official purpose, Gmail provides all the security and features to maintain emails. One such feature is creating folders. If you are not aware of the folder creating a feature of Gmail, then let me tell you, this feature of Gmail is used to organize the emails. Just in case, if you wanted to change the Gmail password, see that. In today's article, we will let you know how these folders are created in Gmail. 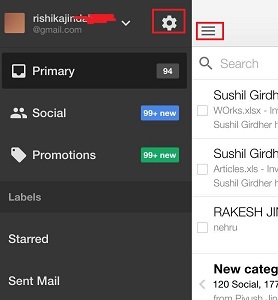 So let's begin the guide on how to create folders in Gmail. In Gmail, the procedure of creating a folder is very simple and easy. Creating labels take less than a minute in Gmail. Once you create the folder/label, you can organize your emails very easily. If you have multiple gmail accounts, you can easily switch between them quickly. Here is how to switch multiple Gmail accounts. So let's check out how to create email folders in Gmail and how to Organize emails by creating labels/folders in Gmail. There are multi ways to create a folder in Gmail. 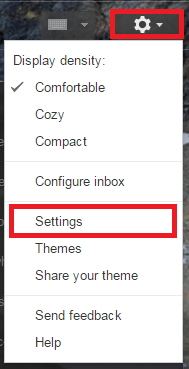 One of the ways are by going through the Settings option and another way is by directly selecting the mail. We will see all the possible ways to creating labels in Gmail. This is one of the methods to create label/folder in Gmail. 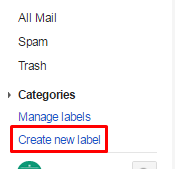 To create a label, first of all, you will need to log in to your Gmail account. To log in, go to gmail.com and enter your credentials. Once you are logged in, follow the below steps. Step 1: Once you are logged into you Gmail, go to the Inbox and select the mail you want to create a folder for. Label can be created in any kind of mail whether it is from the inbox, archive or any other. Step 2: Ok, after you have decided which mail you want to create the label for, click on the labels option placed at the top of the page. Check out the below screenshot. You can also select the ‘move to' option placed just beside the labels. Both the options allow you to create a label for the mail. Step 3: After you click on the label option, a drop down list will appear. Where you have to click on Create new option, which is placed second last in the list. Here you don't have to do anything with the second option. In the first box, type the name of the new label or folder. The second option that is Nest label under, act like a subfolder. We will be discussing regarding it below. Step 5: That's it!! Enter the name of the label and click on create. And the folder would be created. This is how a label is created by selecting any email. Another way to create label is by going to the Settings option. Check out this method below. This is another way to create a label. With this method, you don't need to go to any email, archive or somewhere else. All you need to do is click on the Settings option and then label. See the complete steps below. 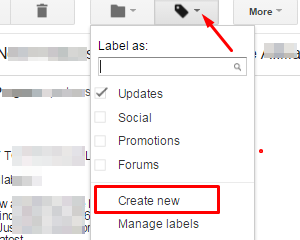 Step 1: On your Gmail home page, click on the gear icon placed at the top of the page. When you click on it, you will see various options there, select Settings from the list. Step 2: After you click on the settings option, you will be landed to the new settings page. On this settings page, you will have to click on the label option placed at the second in the list. Check the given screenshot. This is the option, where all the labels are managed. Under this option, you will see many categories of labels, even if you've never created any yourself. These categories include System labels, Categories, Circle etc. Without disturbing any of the options, scroll down to the section Labels. Step 3: As you can see under the labels, category there is an option Create new Label. Click on that. That's it. After clicking on the create new label, you will see the same dialog box I showed you in step 4 in the first method. This is how the labels/folders are created in the Gmail. Now let's check out how to create a subfolder in Gmail. As described in the above methods, when you click on the create new label, a dialogue box will appear where you will see two options, one, “Please enter a new label name:” and other one is “Nest label under:”. The nest label acts as a subfolder or a folder inside of a folder. This option can be very helpful if you're organizing multi emails. To nest the label under another or existing label, check the box and select the parent label from the drop-down menu. remember selecting Parent label is necessary if you want to create a subfolder. That's all. We are done. These are the methods to create folders in Gmail. If you don't want to go to settings page or follow the steps then you can directly navigate to the home page of your Gmail account. Yes, at the left sidebar of the page, below the inbox, starred and all other options, when you click on more, you will see options like manage labels and create the new label. Again when you create on the Create a new label you will see again the same dialogue box. Simply enter the name and create the folder. So, this was all about how to create folders in Gmail. There are alot of annoying emails in our Inboxes. 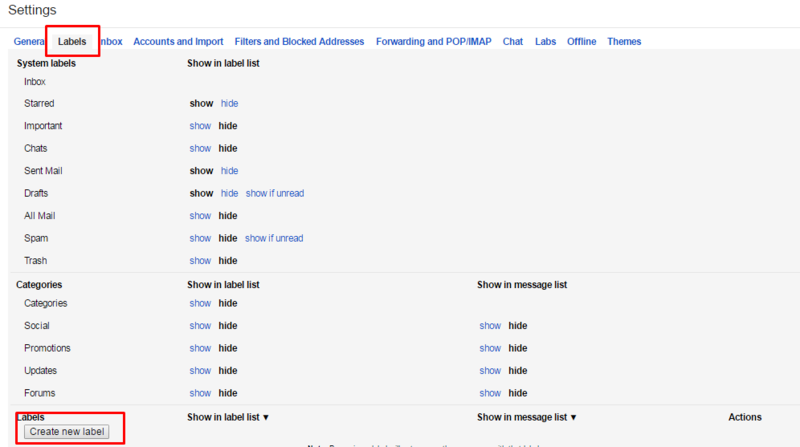 Here is how to block emails on Gmail. I hope you enjoyed reading the guide and met the purpose of landing on this page. How to Set Up Google Sync for iPhone? 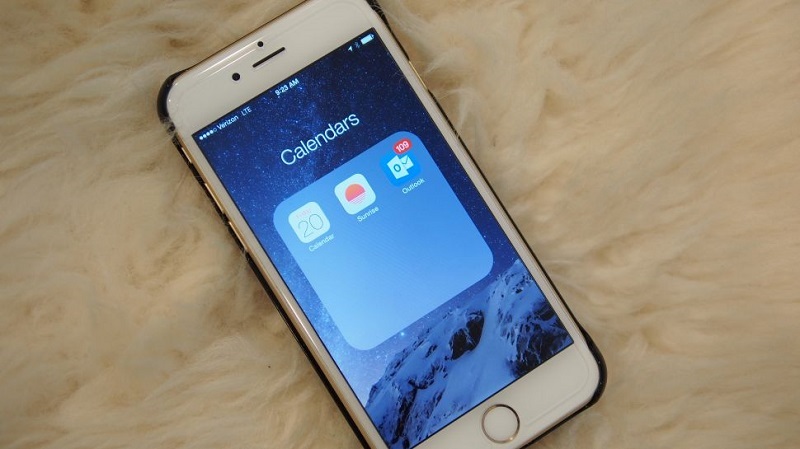 If you had been using your iPhone for an extended period of time, you must have faced some difficulty at some time or the other with the iPhone calendar not syncing up correctly. Now of course for the busy working professional, this is a major problem as meetings and appointments are in jeopardy if calendars fail to do their job properly! But fear not dear reader, today we are going to do something about that very problem. I'm sure every one of you has heard about Gmail. Bet most of you use it for sending personal email as well. Well, today I'm going to unveil another feature of the Gmail app that has been kept well hidden and tucked away till now. Google has a calendar app, and what's more, you can sync with it online! Not only can you sync with the app for your appointment and dates, but you can also use it to sync your contacts! Now if you ever happen to change your phone, just sign in and sync your Google account, and all your contacts and calendar events will be right there at the tip of your fingers. So now that we have taken a pretty cursory look at what Google Sync for iPhone is all about, how about we dive in and take an in-depth look at the process involved? So let's hop onto the process in the next segment of this article! How to set up Google Sync on your iPhone? How to sync your iPhone contacts and calendars with Google? How to backup iPhone data on Gmail? Backing up your iPhone is very important. In case, you loose your iPhone data; you will be able to retrieve it if it is backed up. All you have to do is to sync your iPhone data with your Gmail account. 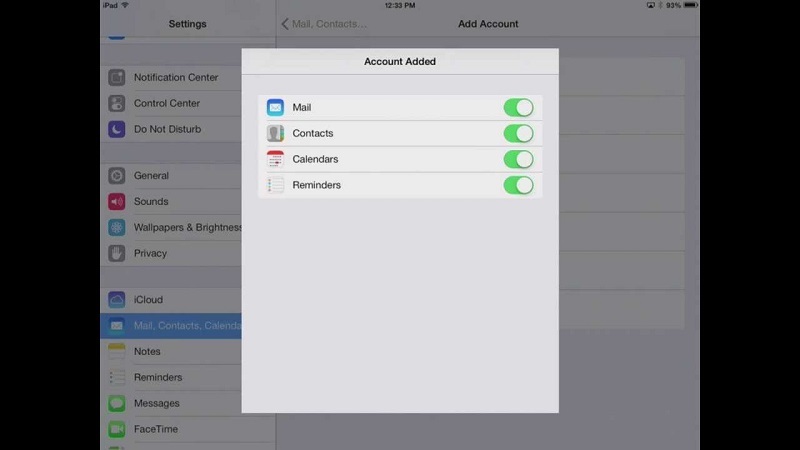 How to sync or exchange mail, calendar, and contacts account on your iPhone? Before you sync with Google, you may backup your phone data, i.e., contacts, calendars, etc. to your Pc or iTunes. Go to Mails, contacts, calendar. Then go to Next option. After that, choose the option between Mail, Calendar, Contacts and Reminders which one you want to be synchronized. This is how you can sync or exchange mail, calendars, contacts, etc. Go to Mail, Contacts, Calendars option. Then tap on Add Account option. In the Email field, provide your Gmail or Google Account or email ID details. Use m.google.com as the Server. Keep the Domain field blank. Enter your Gmail or Google Account or email address in the Username field. After giving the password, select Next. 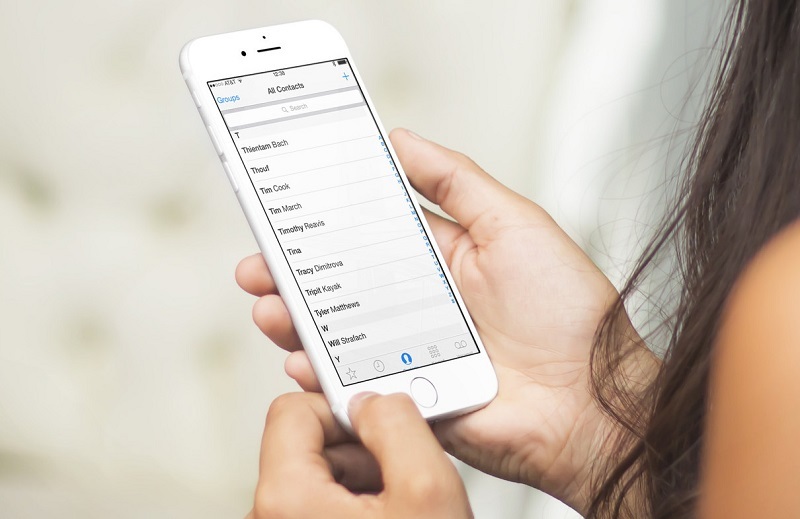 Select the options which ones you want to sync (Mail, Calendar, Contacts, Reminders). Then Save the above changes made. This is direct and the simple process to sync with Google for iPhone. How to Set Up Outlook Mail? Go to the option which says Mail, Contacts, Calendars. Tap on Add Account option. Provide your outlook.com user ID and password. After that, select the Next option in the upper right corner of the screen. Now you have to choose services which ones you enable and sync with outlook. Then tap on the save button in the upper right corner to save changes. That's it. By following this process, your account will be authenticated successfully. How to Set up Gmail / Sync Google Contacts Using CardDAV? Nowadays Google recommends synchronization of ios device contacts to Google using cardDAV or calDAV. Go to the Settings app on your iPhone. Select the option which says Mail, Contacts, Calendars. Then Select the Add Account option. Now, Select the Add CardDAV Account option from the given list. In the Username field, give the email ID of your Google account. For Password field, enter the password of the above given Gmail ID. In the Description field, This field requires info of your account. Give a description of your account; you may type in “CardDav”, you may give any other info you like. After that, select the Next option at the top right corner of the screen of your phone. You’re done, and you should be able to sync your contacts to your Gmail account without any problem. I hope you now know how to setup Google Sync for iPhone and how to backup iPhone data on Gmail as well. As you can see here, it is not a great deal at all. 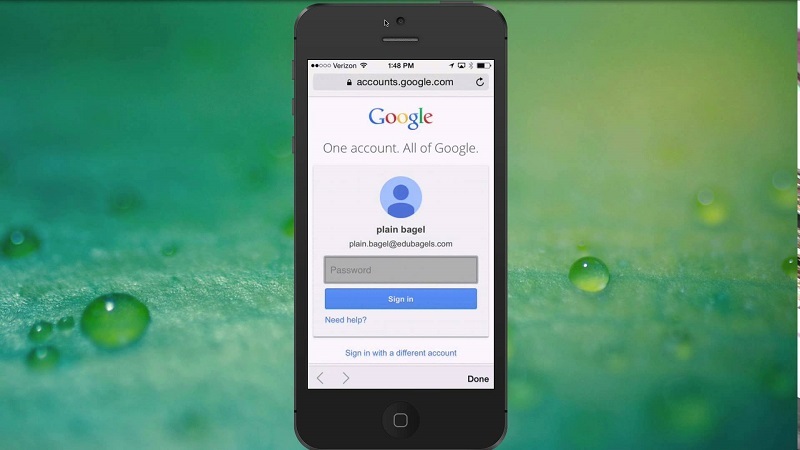 Just follow the above-said procedure correctly and you will be able to activate Google contacts sync on your iPhone. Want to know How to change your Google name? if yes, then this article is a must read for you. In this article, we will tell you how to change Google name in easy and simple steps. So, let's get started with “How to change your name on Gmail?“How to change your name on Gmail? 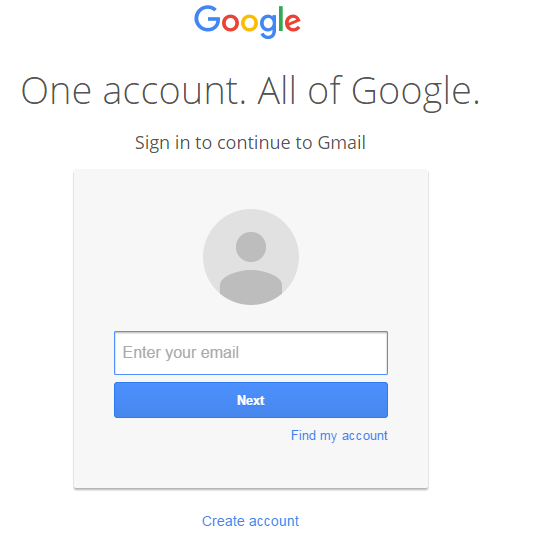 Step #1: The first step is quite simple, all that you need to do is to log into your Gmail account. For that, you need to visit www.gmail.com and then locate the sign in option right there at the top. Once you have found that then you are now required to click on it. This will take you to the login page where you will have to enter the corresponding details like email and password. If you do not have a Gmail account then you will have to create one before proceeding forward. Once you are done with logging in then you are good to go to the next steps. Step #2: By now, we assume that you are up with your email dashboard in front of you. In this very step, you are required to navigate to the gear like icon positioned at the extreme right corner of the window. Once you have located the same then you now need to click on it. This will open a drop down menu for you from which you have to select Settings option. This activity of yours will land you to the settings page of your account. Step #3: Now, in the subsequent window, you are required to navigate to the links at the top and click on “Accounts and Import“. Step #4: In this step, you need to scroll down the subsequent window which follows up as a result of your activity in step 3. You need to look out for “Send mail as” section. Once you have reached there then you have to make a click on “edit info” link which is positioned next to that particular section. Step #5: A dialog box will appear as a result of what you've done in the previous step. 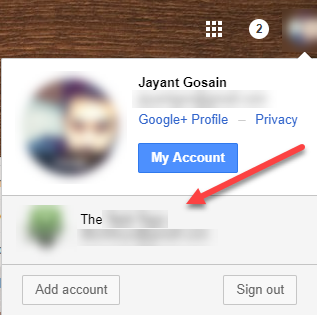 You can now enter the desired name which you want to put forward as your Gmail account name and then mark the radio button in front of it. Once you are done with this then all that you require doing is to click on “Save changes” button and a moment later the changes will be reflected on your account. 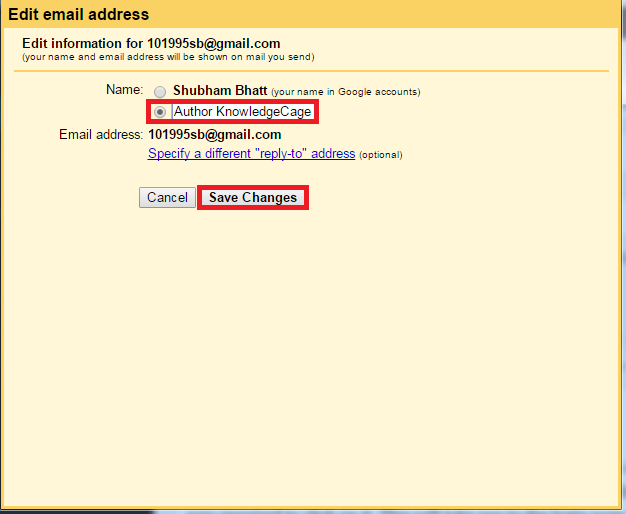 So, this is the easy way for how to change Gmail name? Well, there is also one other alternative to this which is not as efficient as the one discussed above and includes data loss but I thought it to mention here. All that you need to do is to delete your current email account and make a new primary email with the desired username. This method may also be effective if ever you want to know how to change Gmail address? Obviously, the first method sounds to be more effective, right. So, go for the one which comforts your needs. 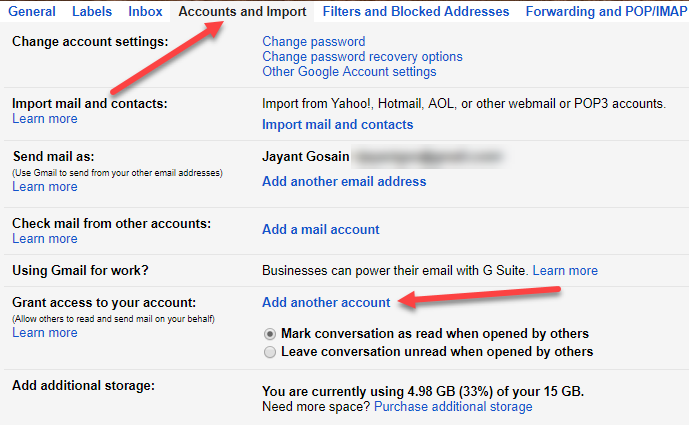 [Additional Information]: How to add an account to your Gmail account? Step #1: Log on to your Gmail account by entering the corresponding credentials like email and password. Once you are done then you can now proceed to the next steps. Step #2: In this step, you are required to navigate to the settings option. You can reach it through the gear icon which is positioned at the right corner of the window. After clicking on it, you need to select the settings option. For pictorial references, you can refer to the first two steps of the method discussed above. Step #3: In this step, you might have to enter your password again which totally depends on your settings preferences. Once you are at the settings page, all that you require doing is to look for the “Accounts and Import” option which is positioned at the top navigation bar. Once found, you now need to click on that. You can also refer to the step 3 of above method for illustration. Step #4: In the subsequent window, you may need to scroll down a bit for the “Grant access to your account” section. Once you have reached there then now you have to click on the link which says “Add another account“. This will lead you to another window. Now, what to do next? for that, you will have to see our next steps. Step #5: In this step, you will have to enter the email address to which you want to grant the access. Once you are done with the mentioned then you will now have to click on the “Next Step” button. Now, from the windows which follow-up as a result of your recent activity, you need to click on “Send email to grant access” button so that the process can be completed. 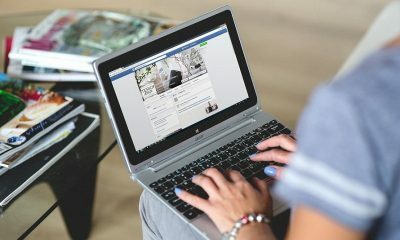 After this, in order to complete the process, you need to open up the another email dashboard and verify your activity. Once you are done with all these then you have now successfully added an account to your Gmail. If this article has helped you in any manner then do not forget to give us a thumbs up on our different social media channels. Also, do spread the word by sharing it among your peers. Moreover, if you have any other methods regarding “How to change your Gmail name?” then do let us know through the comments section down below. Your addition is highly appreciated. For more articles akin to How to change Gmail name? stay tuned and keep visiting. How to Change Mobile Number in Gmail? There is no denying the fact that E-mail has changed the world. The dominance of email in business communications cannot be overlooked. E-mails have completely changed the face of communication. Communicating via e-mails have reshaped how we do our jobs. It suffices to say that Gmail has been one of the best and biggest webmail services for the last several years for multiple reasons. Gmail by Google is one of the best free email programs. Gmail supports both POP and IMAP, which are industry standards for desktop email clients. That means you can use Outlook, Thunderbird, or Mac Mail with your Gmail account. Gmail sport a clean interface, which is easy to use. Gmail is heavily customizable with themes, background images, and information density. When you create an account on Google, it seeks a lot of information and having your phone number is part of their security policy. 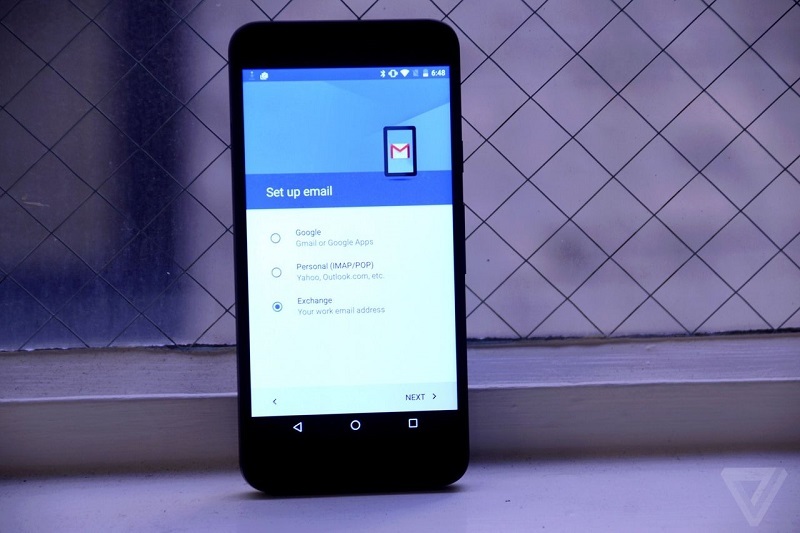 A lot of people have been drifting about How to change mobile number in Gmail. Losing access to your emails, documents, and photos can be frustrating. To make sure you can get back into your account simply and securely in the future, add password or phone recovery options. Sign in to your Gmail account and choose the tab My Account. In the “Personal info & privacy” section, select Your personal info. Next to Recovery Phone Number, select Edit. Add your recovery phone number and Select Done. Now, in case you forget your password you can recover Gmail Account Password with the help of your Phone Number. Note- If you do not have a backup email or phone number added to your account and cannot verify your identity, it is impossible to reset your password. So it is always preferable to add your phone number to your Gmail account. Whenever you sign into your Gmail account, it asks for your phone number. It is one of the best features for safety measures both for account recovery and verification. In case you log in from an unknown device it can issue you an SMS with an access code to prove it is you logging in. 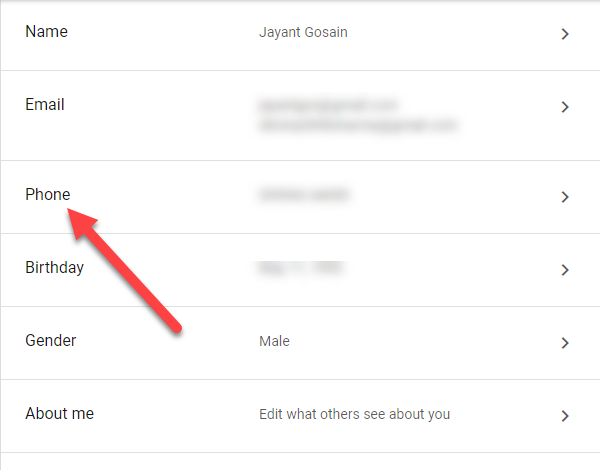 Now, in case you want to change your mobile number then take a look at the process of How do I change my Gmail account phone number via Google Accounts. Locate the personal data and privacy section, and click on your personal info. Just choose change phone number and follow the onscreen instructions. By asking for a phone number for verification, Google keeps down the number of accounts created through mass automation. Take a look at How to Change Registered Mobile Number in Gmail:Open your Gmail account, click on settings located at the upper right of the page. Select the Accounts and Import icon. Click on the password change and recovery option section. Go on the edit icon and you will see an icon for Mobile Number. Click on it and simply change the number. To finish, click on the Save button to activate your changes. And you are done! The number is modified. 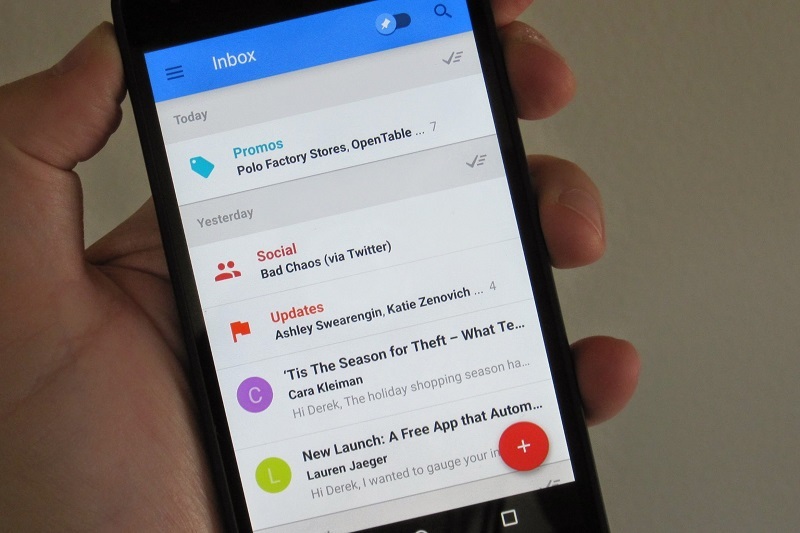 Now, you can operate your Gmail with your modified number. Login to Gmail Account and go to My Account by clicking on your Photo image. Press Sign in and Security. Select “Signing in to Google”. Scroll down to: Account recovery options and press “recovery phone”. Click on the edit icon to change the recovery phone number. Google can help you find your phone in case you lose it or it is stolen, by just using your Google account. The best part is that you have to just synchronize your Google account with your phone, now whatever you install from the desktop in your Google Play, it will be installed automatically on your phone. Infact, Google even limits the number of accounts you can make with the same phone number. Use the handy guide for How to change mobile number in Gmail, given above and enjoy the uninterrupted access to the Gmail services. How to Switch Fast Between Multiple Gmail Accounts? Having multiple email account by a single user is a common phenomenon these days. Logging in and logging out to switch accounts is the most exhausting and irritating phenomenon. Obviously, without mentioning it is a sheer waste of time. 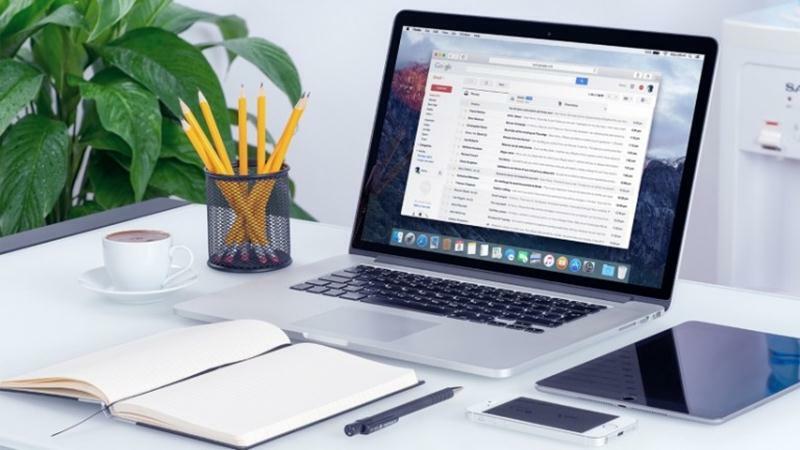 How to Switch Fast Between Multiple Gmail Accounts is a hack almost everyone juggling with multiple accounts wants to know. Usually, people like to have a separate personal and a professional account, and that’s a pretty good idea accounts since Google uses the same login info for all their services. Checking each account manually can prove to be a hassle, so you can take help of various effective tools that can make this task easier. Open Gmail with the first user name and click your picture, name or email address in the top right corner of Gmail. Now click the option “Add account”. Type the Gmail address you want to add for multiple sign-in. Fill in that account's password and then re-enter your password. Click Sign in, to complete. 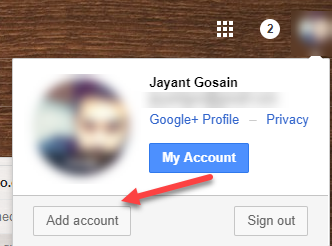 Now, in case you want to unlink any Gmail account, simply log out of either of the connected accounts. Automatically, you will be logged out of all the accounts. This is one of the easiest, straight- forward and one of the most used methods to manage multiple accounts. You have to simply run two or three different browsers, each with a different user account logged in. There is only one basic requirement that is you need to have multiple browsers installed on your computer. Go to the top right of your Google Profile picture and click on it. Now select Add account. Click Sign into another account. You will see that a new tab will open up wherein you can sign in. Next time if you want to open that same account, you can simply select it from the list of accounts that is shown after clicking Add account. Simply, sign into Gmail account. On the extreme top right, select your profile picture. And from here, simply click on the account you would like to use. Now, every time you open Gmail account, the dropdown menu will open, allowing you to quickly switch between saved Google accounts. It is possible to add or remove accounts from the list whenever you want. 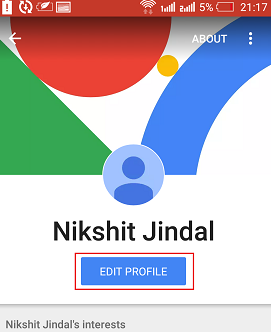 In case you are using some older versions or a product, which does not yet support Google's new multiple sign-in feature, so in that case, your default username will be used. As the name suggests, this would work only in the Firefox browser. A lot of plugins like Cookie Swap, Gmail Manager, etc. are available to carry out the process of Sign in to multiple accounts at once. Out of all, Gmail Manager is the most widely used plugin. The best part is that it is an open source and you can use it for free. Gmail manager comes in with a lot of benefits. It remembers all your Gmail account passwords and sends a notification whenever any new e-mail is received, on any of the accounts. However, if the notifications are an irritating zone to you, simply turn them off. Go to Firefox, and simply using Gmail manager select the Gmail account that you want to switch to from the status bar, then left click on it. Click on the Gmail Manager in the status bar to see all the details of your selected Gmail account, like labels or any new messages, etc. Delegation is one another way of operating several Gmail accounts. Open Gmail. Go on the gear icon and choose Settings. Click on the Accounts and Import tab. Scroll down to the section, “Grant Access to your account”, click the “Add another account” link next to it. Enter the Gmail you want to give access to, and click “Next Step”. Now go into your main Gmail account, via which you are initiating this process and check your inbox for a confirmation e-mail and click the link provided to complete the process. Now the effect will be that the messages you send using this method will have your name attached to them in the “From” field like this: Your Name (sent by Delegate). 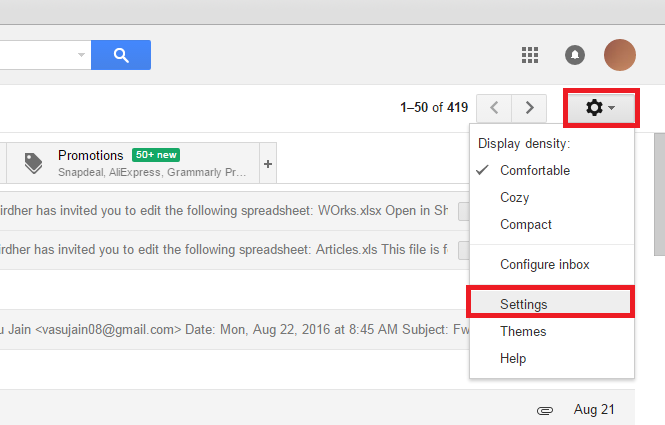 Select Settings in Gmail and open the Accounts and Import tab. Scroll down to the Grant access to your account tab and click delete next to the e-mail you want to revoke access. Now, as soon as that person shuts off his session on Gmail, he won’t be able to access your mails any longer. 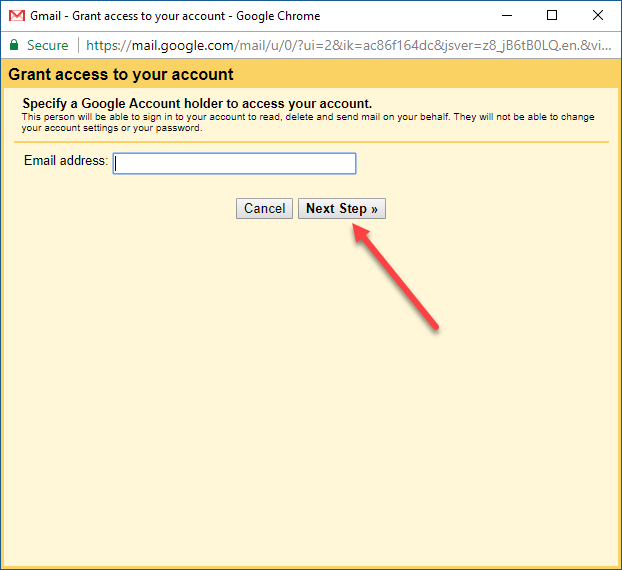 So, follow the above guide for How to Switch Fast Between Multiple Gmail Accounts and avoid the tedious process of switching back and forth between different accounts. Enjoy the convenience of multiple accounts at just a click.